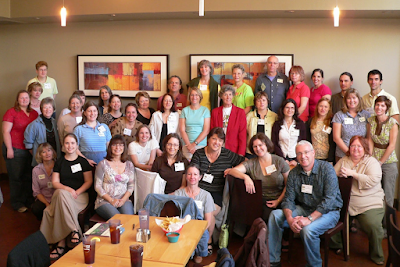 I probably don't have to tell you that Garden Bloggers' Fling is an annual event for garden bloggers that is held in different cities around the US or that we've been garden-touring and socializing every year since 2008 when 30+ garden bloggers got together in Austin, TX! 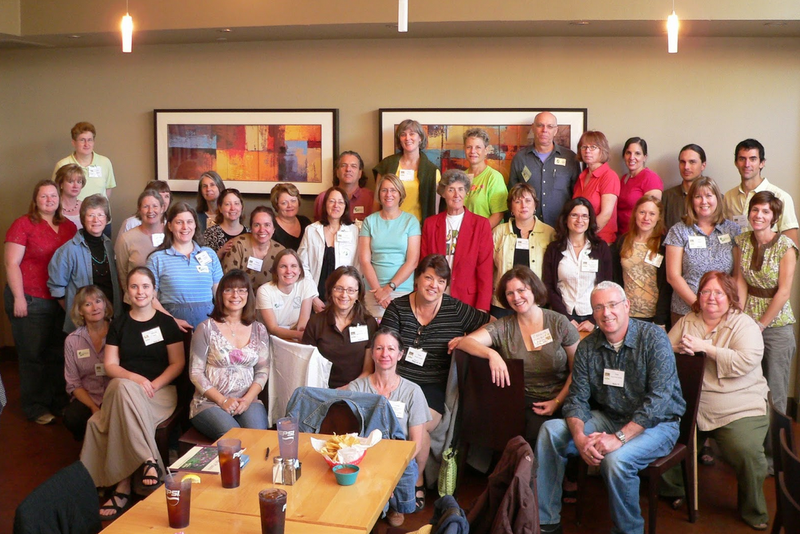 Austin 2008~So many dear people in this photo! 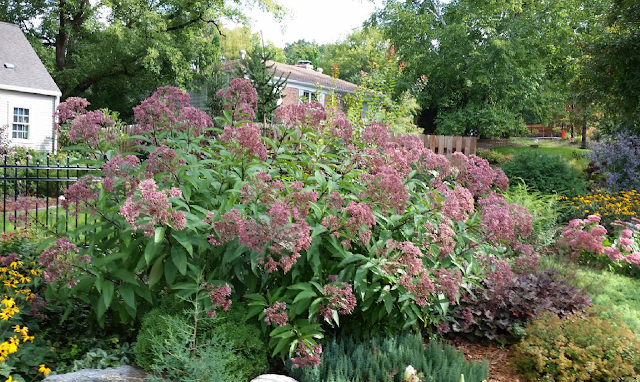 Since that first Garden Blogger Fling get together, we've been to Chicago, Buffalo, Seattle, Asheville, San Francisco, Portland, Toronto and this July 15, 16, 17, 2016, we'll be in Minneapolis, MN. I hope you can join us. A garden we passed while exploring Minneapolis! If you've never attended there's SO much to look forward to~Meeting gardeners from all over the US, Canada and Europe; eating good local foods, visiting the host city and of course there are the gardens! They're always spectacular, often unique and incredibly inspiring. Each and every one of them has a certain je ne sais quoi! I think you are going to be delighted with Minneapolis. I fell for it in a big way when we were there in September a few years ago. We discovered a city with cool museums, wonderful restaurants, great sightseeing, delightful city walks, a wonderful native plant sanctuary and a fantastic bog. 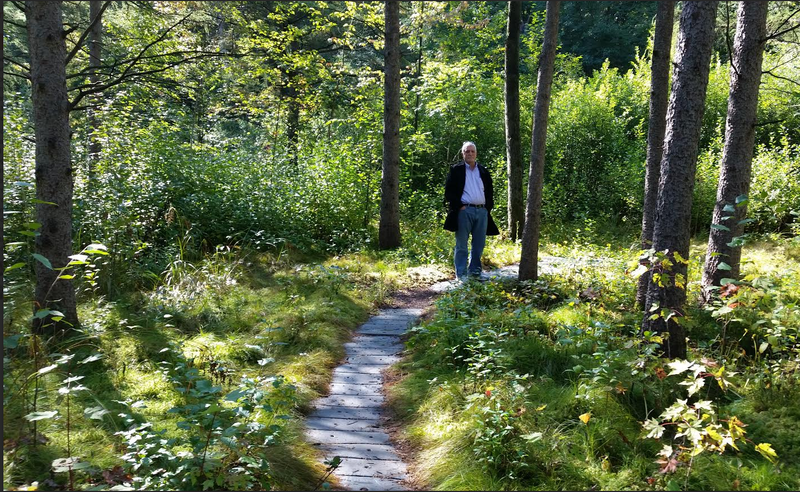 Yes, I said native plant sanctuary and a bog! 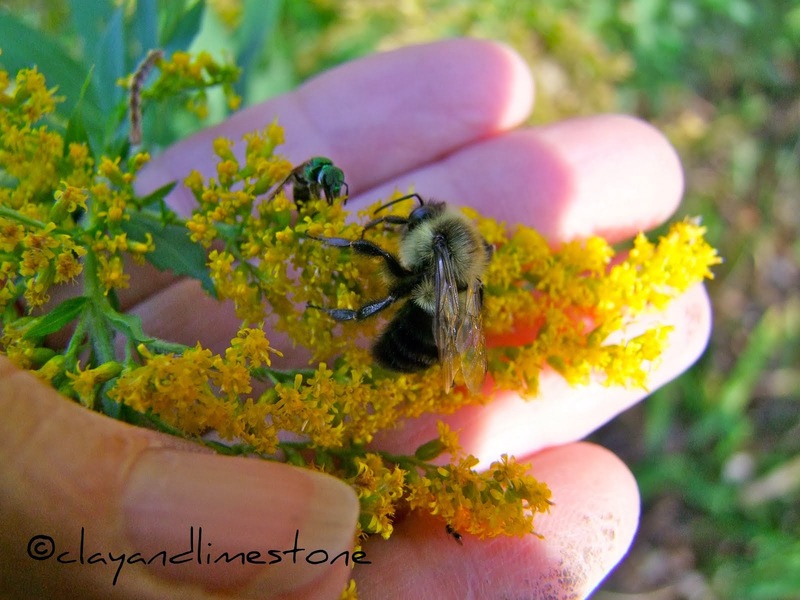 How lucky could a native plant gardener get! 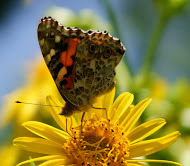 The Eloise Butler Wildflower Garden and Bird Sanctuary is a 15-acre native plant reserve. 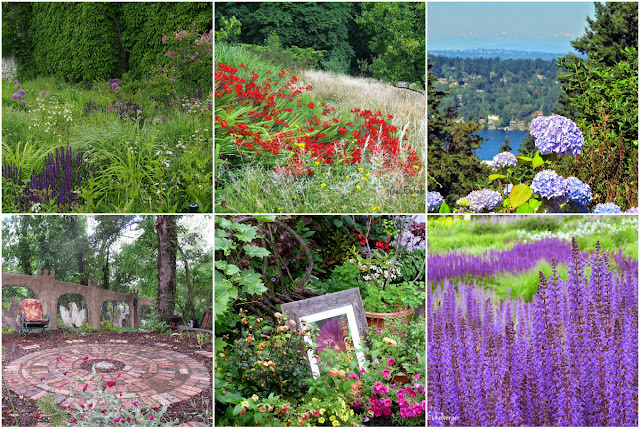 It is the oldest public wildflower garden in the United States. It was delightfully dressed in fall wildflowers and grasses. 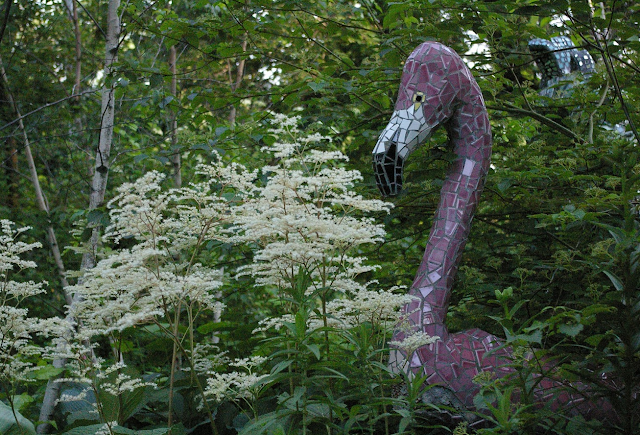 Not too far from the sanctuary is Theodore Wirth Park where you'll find The Quaking Bog. The floating paths are the perfect place to observe Dragonflies/Damselflies, frogs and songbirds. Amy Andrychowicz of Get Busy Gardening and committee members Kathleen Hennessy of :29 Minute Gardener and Mary Schier of My Northern Garden are hard at work putting together a Fling we'll all enjoy! Newbies, here's what you can look forward to~A happy hour meet and greet on Thursday evening, then three days of private and public gardens, nursery visits, good food and great conversations! 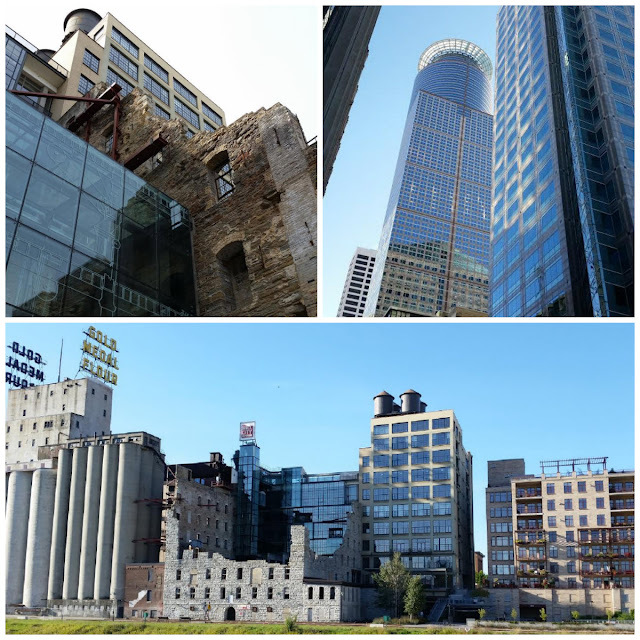 You'll leave Minneapolis happy, full of ideas and inspiration and with more than a few new friends. You don't have to take just my word for it, to view the itinerary, click here and/or to register, click here. "Lots of surprises at Woutrina De Raad's Garden"
I sure hope I'll see you there. I've never been to Minneapolis, and I'm excited to hear all the things you like about it, Gail. It's sure to be a wonderful touring weekend, and I look forward to seeing you and all the other blogger there! It's a fun city and Michael and I found it walkable or uberable! I went there on business a number of years ago so I didn't have a chance to explore the city. I'm really looking forward to it. Good to know about that native bog! I hope the bog is part of the tour. What I didn't talk about was how extensive The Theodore Wirth Park is~Lots of trails and was it ever cool to see signs on the trails for cross country skiing! Best possible peek into the most interesting local gardens, both public and private, is to go with the Flingers! It's a great way to meet new people and new cities. Looking forward to my second fling! I am looking forward to MN but mostly to seeing you and the other bloggers! Such fun! Minneapolis is one of my favorite cities! I used to go up to "The Cities" quite often during my early college years and was really looking forward to seeing how it had changed after all this time. I had fully intended to go, but I have a conflict with that weekend and reluctantly had to decide I couldn't go this year. Will miss seeing everyone and of course, all the beautiful gardens. Enjoy, everyone! Looking forward to seeing you all again. I lived outside the twin cities for 3 years and then in St. Paul for a year from 1988-1992. Minnesota is a beautiful place and I can’t wait to get back and see some gorgeous gardens.